Given our experience and the context of the average and the poor Indian, we definitely believe so, but before we go about proving our belief through anecdotes and specific service examples, let us look at some macro statistics. What is the Human Development Index (HDI)? Well turns out, that HDI is a function of 1. Life expectancy, 2. Education and 3. Income levels in any country. Since Income level is again a function of skills and education broadly, and access to finance is critical for proper sustainability of all three, HDI basically translates to access to healthcare, education and financial services. According to a recent Analysys Mason study, it was studied what impact a 10% increase in Broadband Penetration could have on the education and healthcare industries in India. They used various analytical frameworks including analyzing similar impacts and correlation in other comparable countries and by extending India’s trends. What did they find? That impact is hugely positive – a 10% increase in Broadband leads to an additional 42% increase in healthcare revenues and an additional 37% increase in education revenues. What does this mean? That healthcare and education as a service increases massively with broadband penetration. Sure, there will be some cross-correlation because of simple GDP growth, however, given the strong relationship between healthcare/education and internet penetration, it certainly means that a large part of the increase has to come from the additional services delivered on mobile and web as a platform, particularly in countries like India that are starved of physical infrastructure. Emerging markets also get to take advantage of the fact that they can skip generations of technology and adopt the latest and greatest, and that too at lower cost, thus further increasing the benefit. So the numbers definitely tell us that HDI and “being connected” are highly correlated. But what does that mean in terms of actual services/products offered and how can those benefit lives? Lets look at some examples next. Health – While there are many examples of successful telemedicine solutions, one that strikes particular promise is the simple BlackBerry and iPhone app created by i2iTelesolutions and used by Narayana Nethralaya to detect retinopathy of prematurity – a condition that affects 10% of all newborns in India and can lead to permanent blindness. Education – There are many online and tele education examples, ranging from open source K-12 school videos on Youtube and college course content from MIT to paid services offering specific courses, skill development and degrees online. But the most spectacular example in India would probably be that of IGNOU, which with its 35 Lakhs students, is the largest university in the world and offers only distance education – a significant number of its coursework being online or through the mobile. In fact it recently expanded its tele-education course work to Africa. Finance/Transactions – IRCTC is an often-cited example in India, but is worth repeating since it saves people from traveling to a train station to buy tickets, standing in line, paying touts for tickets, etc. It remains the largest commerce site in India today, and even people without bank accounts and credit cards use it through prepaid cash cards. Besides IRCTC, we are sure you have used multiple travel and e-commerce websites on which you have bough flight tickets, books or more. There are also many mobile finance companies such as Eko and FINO that help people at the base of the pyramid use their mobile phones as ATMs, to repatriate money and more. Information – ITC eChoupal created the first scaled agriculture information centers and network. It empowers farmers through information on weather, when to plant, when to sow, advice / tips, etc. But the best part is that it allows price discovery because ITC integrated their supply chain with this, and farmers can, without visiting any market, decide to sell to ITC or go to a mandi. This allows them better rates than they previously got from middlemen who exploited them. Self-expression & Democracy – Self expression is probably the easiest to explain. All we need to mention is Twitter, Facebook, Google plus for internet and SMS Gupshup and their likes for the mobile, and you get the point: Being connected helps you virally spread your message and be instantly heard by multiple people. Yes it has helped make governments more accountable, spread movements like the Anna Hazare movement and even create revolutions like those witnessed in Arab Spring. Since democracy is by the people, for the people and of the people, by strengthening peoples’ voice, clearly being connected strengthens democracy itself! Now onto governance. How does being connected help in claiming or delivering better governance? Well this one is easier to demonstrate. From a “claiming governance” perspective, various Indian and international government programs have proven that opening up data feed about their programs on the web or providing real time feed through mobiles/SMS have resulted in increased accountability. USA’s open government and gov 2.0 experience being a case in point here besides Chattisgarh and Tamil Nadu’s PDS experience and Goa, Kerala‘s mobile transparency initiatives. Given that m-governance is becoming an important area of focus for the government, there is no doubt that government apps on data-enabled mobile phones can help people interact securely with government in the future, thus delivering governance directly to people without any rent seeking by middle-men. So what does all this mean? 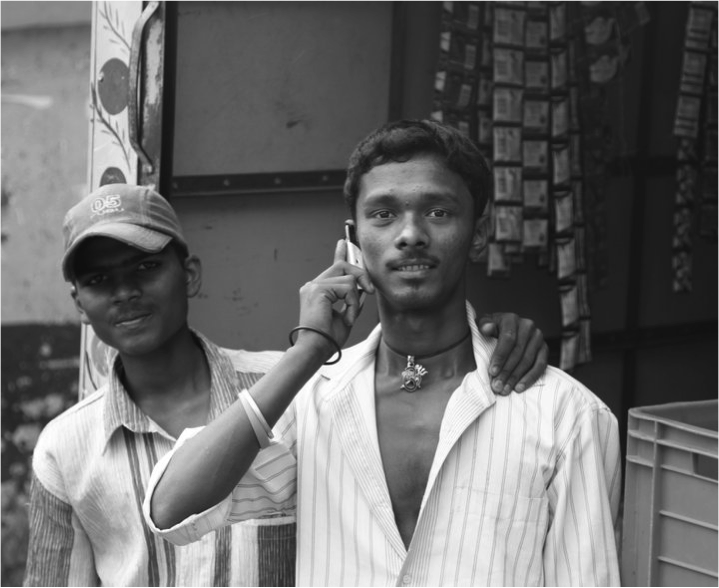 It means that connecting citizens via data represents a unique opportunity for India to leapfrog service delivery paradigms to the online world. Armed with multiple services – private and government – along with access to the world’s knowledge and a powerful tool for self-expression, a connected India could rise on the development curve much faster while strengthening its democratic fabric. So does the government not have plans to get India connected? Are those sufficient? Can anything else be done to make India connected more efficiently? More on this in our upcoming posts. 3. Many agriculture analysts are saying that land for the rural poor where organic farming is possible is essential to deal with the climate change crisis looming large. The food supplied from one’s backyard is not accounted in GDP or per capita income, but goes a long way to feed the poor. This does not mean that we need not bother about bpl citizens, but that much more than the Government’s present approach is needed. Statistics shows that neoglobalisation and the politics of food with TNCs dominating the food market has gone side by side with increasing levels of hunger in the world. Read for instance, Devinder Sharma’s blogs or Vandana Shiva’s books. 4. Sorry, more than techno solutions are needed to deal with poverty and hunger. It may sound cliched, but there is nothing that can really change for the poor without a paradigm shift. If you look at the increasing body of work on climate change, cutting edge thinkers also suggest various things from biomimicry to transition towns to simply cutting down consumption and even fixing a ‘maximum wage’. I don’t see how mobile or internet connectivity can really make a difference when you see issues holistically, including hunger, climate change, nexus between TNCs and politicians and everything else. But a big thank you for doing what you did! Dear Seetha, thanks for the encouragement. We believe that technology has always played a big role in man’s ability to find solutions to problems since we first invented wheel. We are children of the 1980s and the current and emerging technology is reliant heavily on communications & internet, so we look for solutions within that paradigm. Of course, while the fact that we are computer engineers ourselves biases our perspectives, but it is true that our country is fast adopting to and getting reliant on mobile technology in the last few years. To a point, where it has become an all pervasive utility in the hands of the average Indian. While, there maybe other good solutions to the problems of the common Indian, we feel that the power of that mobile utility in the hands of every Indian is being underutilized, and could be put to many great uses if the floodgates could be opened using data connectivity. Once again, it doesn’t discount other solutions, including low energy/carbon footprint living, but something that can be used as a leverage. Pls read our mobile series for more detail.